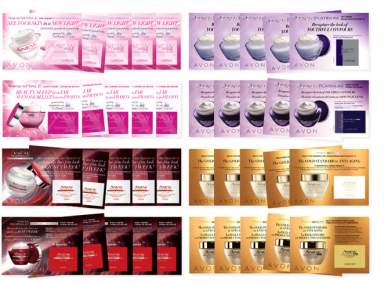 #Join The #Avon #Sample Club – Mary Vivanco Avon Rep Online. I’m starting something new with my Avon Business and of course, I am thrilled to do this for my Avon customers via online!!! Beginning in the month of July 2017, I will be launching my Avon Sample of the Month Club. I will send out samples the second week of each month (the 15th). Should you love the sample product and want to purchase it in full size, I will give you 10% off! How does that work if you shop online? As long as you ordered with me as your Avon Representative, once you place your order, I will be able to see what you ordered. I will take 10% off the item and mail it to you as a reimbursement. Sound Good….. Refer A Friend: If you refer my Avon Sample Club to someone and they join as well ~ when they place their first order with me as their Avon Representative, I will give you (as the referrer) a FREE GIFT! *What do you need to provide to me to become my Avon Sample Club Member? *What questions will I be asking you to answer after you have sampled (that will be used in short surveys on my online blogs, Facebook, etc)? *These are examples and I could very well add more questions if I feel they are needed to be covered for certain products that you may have sampled. *What was your favorite thing about this sample product? *What would you say are Pros of using this product? *What would you say are Cons of using this product? *Did someone other than myself refer you to this Avon Sample of the Month program if so, who? 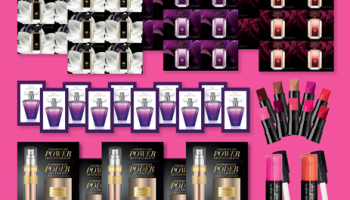 *Ready to order your favorite Avon products online now? Visit My Avon eStore and qualify for FREE SHIPPING when your order is $40 or more (no code needed)!! !